Pre-1990's low rider made in West Germany. hi would this rack be able to take carradice panniers, with their qr system and will it fit my bike as the bolt holes are 165mm center to center that takes pannier racks thanks. as i have a giant 'rack it' which was too small. 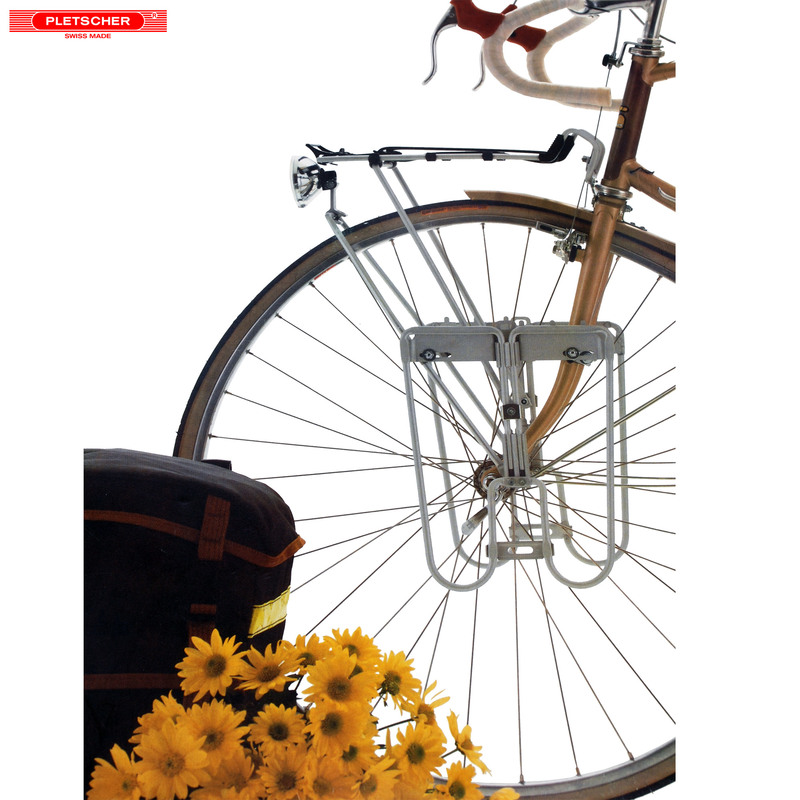 Although the Carradice pannier would fit over the rack the quick release clip would not be able to engage so there would not be anything holding the panniers to the rack. 165mm is the standard spacing so this rack should fit to your bike without any issues. I Have An Ultra Galaxy And Would Like To Know If This Would Fit Please. I have an axiom which refuses to fit. We have never had your bike here to know how the fittings line up I'm afraid, from photos of your bike it does look as though you will be able to get this to fit but we can't say for definite I'm afraid.